Japanese student stylishly dressed in a houndstooth print coat, cropped turtleneck top, trousers and patent leather shoes while out in Harajuku. 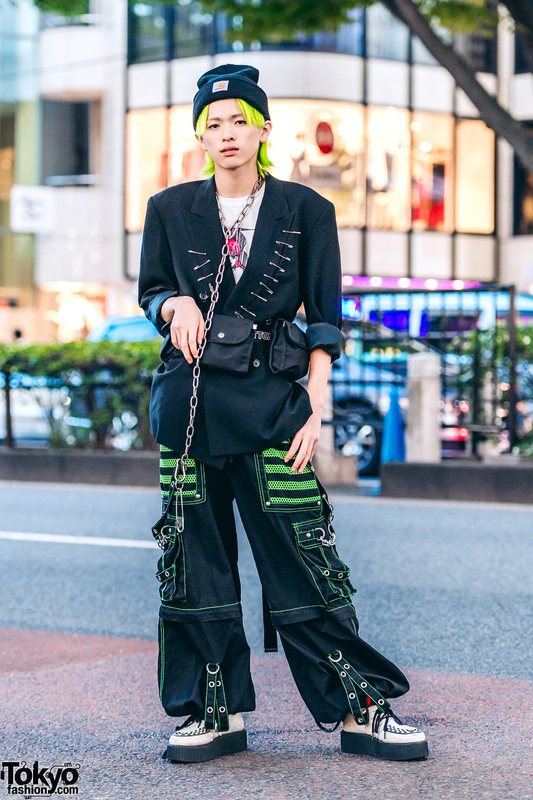 Harajuku teen street personality wearing a tie dye tank top, patent leather shorts, studded ankle boots, and a remake backpack. 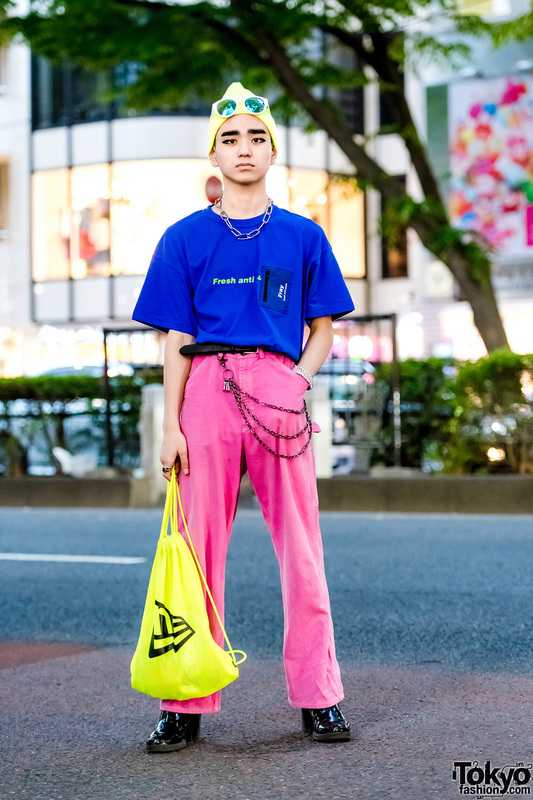 A brightly-colored ensemble from a Japanese student while out and about on the Harajuku street at night. Harajuku teen sporting a black and white street style while out and about on the street. 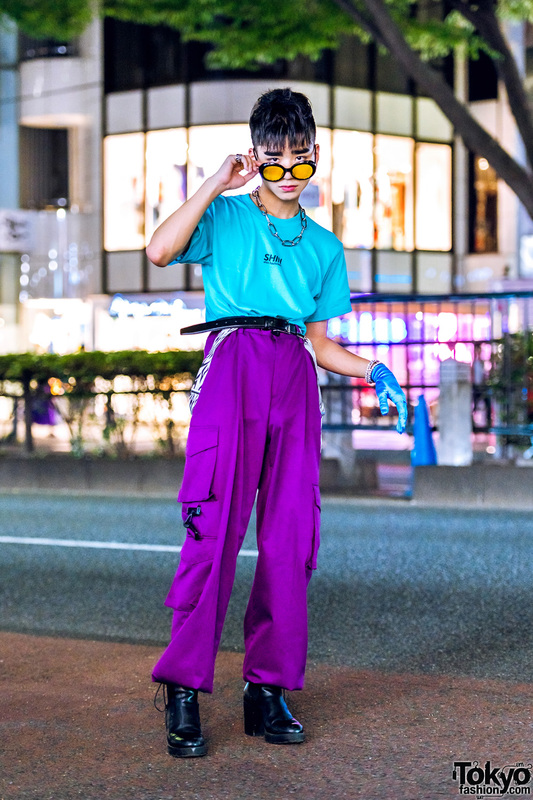 Harajuku student showcasing a colorful ensemble while out and about on the street. 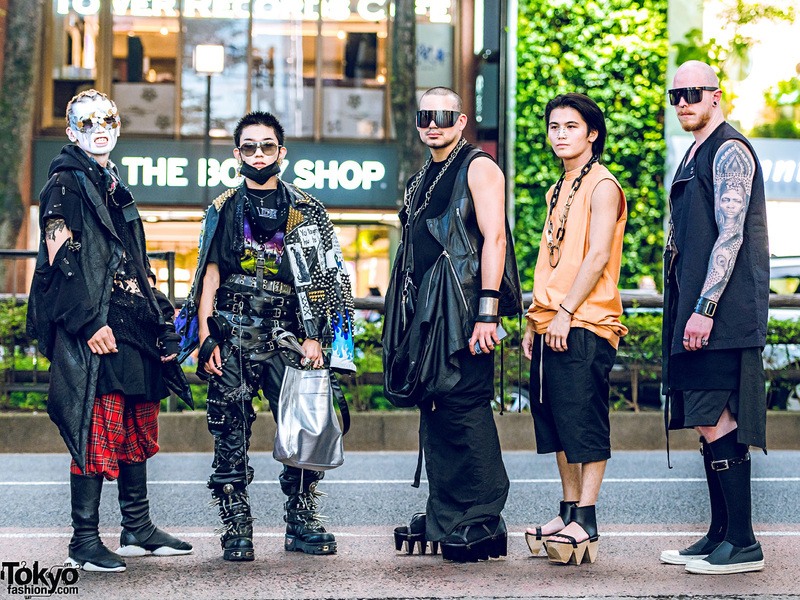 Harajuku teenages sporting stylish streetwear ensembles while out on the street one afternoon.